Sports Massage Windsor - Specialist Team - Enquire Today! Sports massages are a form of massaging that involves the manipulation of soft tissue with the ultimate aim of improving a persons mobility and making their regular physical activity pain free. It is important to note that Sports Massages are not used as a form of relaxation – they are forms of treatment for a variety of pain and problems with mobility. They are predominantly used for athletes and those who are involved in and do a lot of physical exercises. Sports Massages can often be confused for Swedish Massages and Hot Stone Massages – these types of massages are aimed at moisturising and soothing the skin to promote relaxation and stress relief. Sports massages apply pressure on to soft tissue near the area that is affected – this helps to reduce the pain that patients are experiencing in a given area and will also aim to improve the over flexibility and mobility of the treated area. 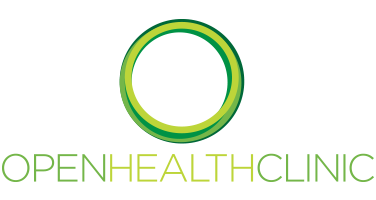 We offer a wide range of services here at the Openhealth Clinic such as Osteopathy, Physiotherapy and a range of other treatments. If you would like to book your Sports Massage in Windsor today or would like some more information about the services we offer – then please get in touch with a member of the Openhealth Clinic team today and we will be happy to help. What exactly are Sports Massages? As mentioned, Sports Massages are a form of massage which involves the manipulation and treatment of Soft Tissue – Soft Tissue is described as tissue that is connective and not hardened like cartilage. Sports Massages themselves are utilised to help aid the correction of a mobility problem or area of discomfort that can be caused from a variety of things – Some of the most common causes are repetitive movements, for instance, runners may get this after running marathons and during the training build up to a race. It is important to book your sports massages around your races or sporting activities. Getting a massage that is less than 48 hours before a race or event may still experience fatigue and aches during the event. A great time to have a sports massage is 48 hours after an event as this will be the prime time for Sports massages to aid in the recovery. A final thing we like to remind customers is that they are not spa sessions – Patients may experience some areas of discomfort but our therapists will explain everything to you. Why are Sports Massages important? Sports Massages aim to increase the blood flow to tired and fatigued muscles. Because of this increased blood flow, the recovery time is sped up and an increase in the amount of blood that flows back to the heart. Regular sports massages will be able to work towards the improvement and increase in mobility, flexibility and help to eradicate the chance of injury arising again. It is important to get things seen to straight away as prolonging a massage or session can result in the injury or pain that is being experienced becoming worse. Another thing that happens through sports massages is that mitochondria is increased during the Sports Massage which can improve endurance and performance. Openhealth Clinic is proud to have a team of great Musculo Skeletal specialists who collectively aim to provide the best possible results for clients. We listen to our client’s feedback and strive to improve upon our already high standards. If you have any questions about the Sports Massage services we offer in Windsor then please get in touch with a member of Openhealth Clinic team today! Jack is part of the marketing team and enjoys helping patients understand the treatments offered at Openhealth and the positive effect that Osteopathy & Physiotherapy can have on peoples lives.